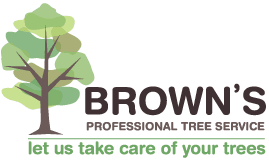 Make Brown’s your number one choice for tree service in Gympie! As well known and respected faces in the community, you can be sure that we will do a fantastic job for an affordable price. Owner and operator Randal has a passion for gardening and trees, and this passion is reflected in the quality of service we offer. We strive to be reliable and professional, giving you the best customer experience possible.